I know, I know! I’m doing a salad post. Trust me, when you see what is in it, you’ll enjoy it, too. And, if it helps, I served this with a medium rare ribeye steak. This recipe covers enough spinach for 4 salad eaters, so I would double it if serving more. Heat together in a small saucepan and pour over salad right before tossing and serving. 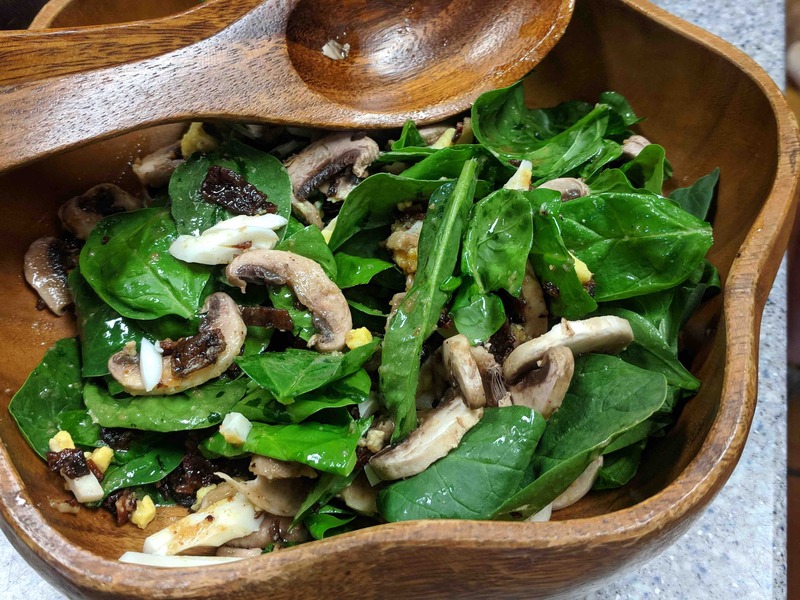 For the salad itself – baby spinach leaves, 2 slices of bacon (chopped), 2 green onions (sliced), 1 hard boiled egg (chopped), 1 cup mushrooms (sliced) and 1/4 cup pecans (chopped). The only way to salad!